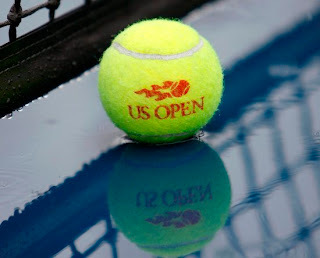 The US Open is the last chance. 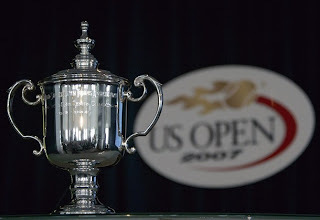 With over four months until the entirety of the tennis world reconvenes in Australia, for better or for worse, how a player performs at the US Open tends to define their year. Here's our 2011 US Open men's bracket breakdown. World No. 1 Novak Djokovic brings his 57-2 record to the hardcourts of Flushing Meadows and is dealt what may truly be a challenging path to the late stages of the US Open. You won't be able to tell by the first rounds though, the streaking Serb opens against a qualifier and then takes on the winner of Pere Riba and Carlos Berlocq, both of which he should cruise through. Next up will likely be the winner of the fan special first rounder between Croatia's big-hitting Ivan Dodig and former top five-ranked Russian Nikolay Davydenko, currently ranked 33rd and 39th respectively. I'm giving the Croat the slight edge to come through and given his ability to stand toe-to-toe with Rafael Nadal in Montreal, I wouldn't rule out the massive upset if Djokovic hasn't found his best form by then. I wouldn't bet my Metrocard money on it either, mind you. The next section is virtually impossible to predict. It houses the mercurial Ukrainian 22nd seed, Alexandr Dolgopolov, who made a star-turn on the Aussie hardcourts, but has had a pockmarked year otherwise; Japan's resurgent Kei Nishikori, "Dr." Ivo Karlovic and his cannonball serve and the maddeningly unpredictable, spectacularly talented 13th seeded Frenchman Richard Gasquet who opens against the tricky 41st ranked Sergiy Stakhovsky. The other half of this quarter is fronted by another maddeningly unpredictable, spectacularly talented Frenchman, 7th seed Gael Monfils. On the other end is big-serving Czech Tomas Berdych, the 9th seed who had a relatively strong summer, but crashed out in the first round here last year. The players most likely to keep Monfils and Berdych from meeting in a blockbuster Round of 16 match are rising Serb, Janko Tipsarevic, Italy's Fabio Fognini and promising Bulgarian talent Grigor Dimitrov, Monfils' first round opponent. Given the way young talents have broken through in majors this year, I wouldn't rule out the Bulgarian, who's been a challenger specialist thus far, taking a big scalp if Monfils has an off day. Ultimately, the tale of this quarter will be the tale of Novak Djokovic's shoulder and general level of fatigue. No one here is a better player, but there are plenty of guys who can upset an off-form Djokovic. For years, Nadal would play a ridiculous amount of matches on the clay and grass and come into the US Open with his fighting spirit whispering "Vamos," while his body shouted "No Mas." I believe Djokovic is in a similar position this year, the question is will any of his opponents be steady enough, emotionally and physically to get past him in a best-of-five encounter in front of the famous/infamous New York crowds. Roger Federer opens against Santiago Giraldo of Colombia before likely taking on the up-and-coming for years now Thomaz Bellucci of Brazil. In the third round, three young players will vie for their own main draw version of the junior title, playing for the right to be trounced by Federer in the third round. (I kid, I kid...kinda) Bernard Tomic, Ryan Harrison and the slightly older Marin Cilic (who's only 22, but seems as if he's been around forever). The other seeds in Federer's section are Radek Stepanek (who has a real-tough first rounder against slipping German Philipp Kohlschreiber) and Viktor Troicki who should ride the Serbian wave to a tantalizing fourth round tilt with the Swiss maestro. The third quarter of the draw is as wide open as it gets for the men. Andy Murray is the headlining fourth seed and coming off a title in Cincinnati, a solid favorite to go deep here. He should be untroubled in the early going by the crafty UVA-product Somdev Devvarman in the first round, and won't lose sleep over his likely matchup with Robin Haase in the second. He'll then potentially take on Mama Murray's favorite pinup, Feliciano Lopez in the third. Keep an eye out for a second breakthrough by a Canuck at a major as Vasek Pospisil could come through this section as well. Murray's fourth round match could be against Stan Wawrinka or the irrepressible Juan Ignacio Chela. 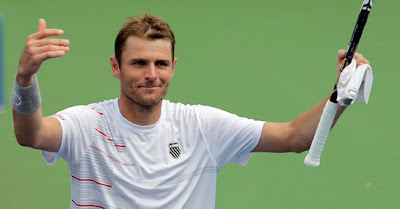 American Donald Young could find some grand slam redemption here as well, but I'll place my beers on resurgent Russian, Dmitry Tursunov to face down Murray for a place in the quarterfinals. In the other half, a vulnerable sixth seed Robin Soderling, who's spent much of the summer down with injury may be bounced by home favorite and suddenly top 50 player Alex Bogomolov Jr. in a second round encounter, The marquee matchup of the first round is Big John Isner, versus the always fun-to-watch Marcus Baghdatis. Juan Martin del Potro will have a chance to shake off his summer doldrums here too, provided he can get past the veteran Italian Filippo Volandri. The question is whether the Argentine 18th seed's memories are of his 2009 championship run in New York or his more recent summer slump. Lingering at the very bottom of the section is silent 12 seed Gilles Simon. The Frenchman has very quietly had a great summer and is on the verge of re -racking the top ten. With all the vulnerable seeds here aiming for a shot at Murray, nothing would really surprise me...except Murray not getting to the semis. 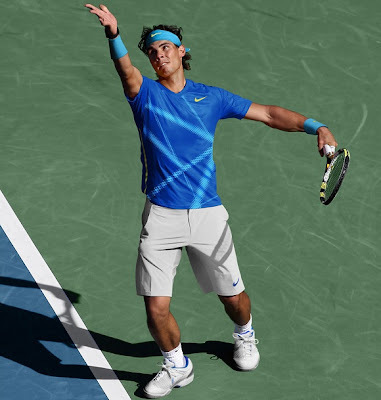 Defending US Open champ Rafael Nadal headlines the bottom section of the draw as he did for most of the prior decade. As with most of that time, there are questions about how far the Spaniard can go. This year though, it's not on the grounds of fitness or hardcourt prowess. This time the question is, is Nadal mentally fit to contend in New York. His summer hasn't been positive, but only one other player in the draw has won 10 majors, so if he gets to crunch time, we think he'll be ready to go. Nadal will be tested as early as the first round against Andrey Golubev, he should get through though and face a tricky matchup against two old (in more ways than one) nemeses David Nalbandian and Ivan Ljubicic. Both of these guys know Nadal's weaknesses and used to reside in his head much in the way a certain Serb does today. If Nadal can find his B+ game to get past those guys then it should be clear sailing against either Jurgen Melzer or Mikhail Youzhny in the fourth round. The other side of the draw houses Nadal's quietly advancing workhorse of a compatriot David Ferrer who's back in the Top 5. Ferrer also faces a couple of tricky early round matchups, opening Russia's Igor Andreev in what should be a ground game slugfest before taking on the state of Connecticut, the J-Block and local product James Blake making what could be his last run at the big house in Flushing. Andy Roddick on the verge of being the 3rd ranked American will open against Michael Russell, before potentially taking on a good young American touted as the future of the American game, Jack Sock. Another player who once held that "future of American tennis" title, 23 year old Ryan Sweeting opens with a winnable matchup against Denis Istomin before facing the winner of Julien Benneteau and Nicolas Almagro, which is suddenly a battle since it's on the hardcourts (not Almagro's choice of ground) and Benneteau is coming off a final last week in in Winston-Salem. Unfortunately, despite the plethora of Americans playing here, I have a hard time seeing any of them (including Roddick) getting to the round of 16. Prediction: Djokovic will gut his way through to the semifinals. Although he's on fire, I think the flame's about to go out. It takes an immense amount of energy, mental, emotional and physical to go on a run the likes of what we've seen from Djokovic this year and the cracks started to show in Cincinnati. If he plays Fish in the semifinals, I think a combination of the weight of the crowd and expectation will ultimately make Djokovic's shoulder hurt just that extra iota. If Nadal survives his early tests, I think he'll find a way to raise his game versus Ferrer in the semis, taking on a game, but ultimately overpowered Murray in the semis and then just out-playing Mardy Fish (who will be out of his element in a major final) to win his 2nd US Open. Call me crazy, but hell, who's going to remember the 100th person to pick Djokovic to win it all? Would you nevertheless put into effect the reason why purchase a Patek Philippe view? Every view is really a work of art which signifies outstanding high quality along with a rarity which improves it's worth. hublot replica sale The internet view shops maintain the share from the whole variety such as the commemorative types. As well as, have you been continue to be inside a problem upon the reason why purchase a good IWC view? rolex replica An easy solution is always to stick out inside a group. fake hublot You are able to get all of them at any time on the internet these days. rolex replica Scroll with the pictures from the versions, evaluate and choose. You may also present someone to your own close to as well as expensive types located from any kind of area of the globe. The values will be reduced whenever purchased on the internet. Once again, the reason why purchase a good IWC view? fake rolex Simply because, these types of wrist watches tend to be a good resource, a good treasure died through era in order to era. A vintage design having a easy appear is actually exactly what the actual view means.